All around the world, at certain special times of year, people come together to celebrate special occasions and holidays. The United States celebrates dozens of different holidays throughout the average year, including federal and national holidays, as well as smaller state-specific holidays and special days. The second month of the year, February, is filled with several key events and dates on the American calendar. Despite being the shortest month of the year, February offers a lot of reasons for people to get outdoors and celebrate, with one official federal holiday and many other special events and holidays for all to enjoy. Here are some details on the top events and holidays in February. It was back in 1976 that the month of February was officially declared Black History Month, also known as African-American History Month, by President Gerald R. Ford. This special event has courted controversy over the years, with people of various origins and ethnicities questioning whether a single month of the year should be devoted to the history of a single race, but many people prefer to see the better side of this month. Black History Month is an opportunity to celebrate the achievements of African-Americans, as well as acknowledging the rich and difficult history they have endured over the years. Key areas from the Civil Rights Movement are popular to visit at this time of year and schools will focus on studying Martin Luther King Jr. and other African-American icons. Translating from French as ‘Fat Tuesday’, Mardi Gras has a different date every year but usually falls in February and is a beloved February holiday in certain parts of the US. Originally a Christian festival related to the Epiphany, the original idea behind Mardi Gras is to feast on rich foods in preparation for a period of fasting during Lent. However, the holiday has since taken on a more universal theme as a way for people to simply come together and celebrate. Not all of America celebrates this holiday, but it is particularly popular in traditionally French areas like the state of Louisiana and the city of New Orleans in particular. People parade through the streets and dress up in colorful costumes. Also known as the Feast of Saint Valentine, Valentine's Day is commonly classed as the lovers' holiday. Originally a Christian festival, it's now a global phenomenon and the one day of the year when people celebrate love and romance of all kinds. The day is most commonly linked with couples, who celebrate by giving each other gifts and cards or going on dates, but other kinds of love can also be celebrated on this day as well. 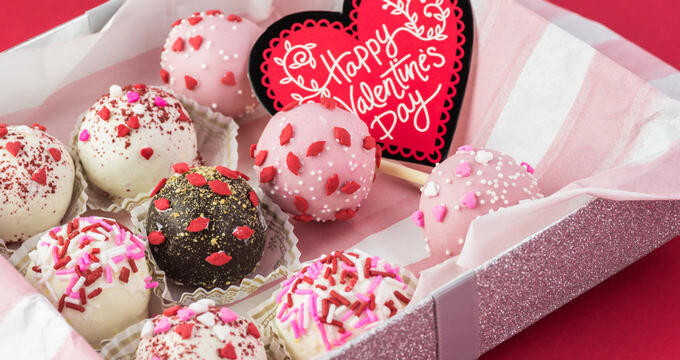 Almost 200 million Valentine's Day cards are said to be sent each year in the US alone, with gifts of flowers and chocolates also common purchases on this day. Arguably the most popular 'unofficial holiday' in the US, Super Bowl Sunday falls on the first Sunday of February. This is the date on which the Super Bowl, the biggest game of the National Football League season, is held. It's a time when sports fans and even non-sports fans all tend to gather together in groups of families and friends to watch the game and enjoy good food. The Super Bowl is almost always the most-watched television event of the year and networks showing the game tend to dedicate entire day of programming to the game, with pregame shows featuring analysis and live entertainment. Officially speaking, the holiday many people know as Presidents' Day is actually called Washington's Birthday, because it was originally celebrated to honor George Washington, the first US president, who was born on February 22. However, after the Uniform Federal Holidays Act of 1971 changed the dates of certain holidays, the date was changed to fall on the third Monday of February and the significance of the day shifted away from just Washington and began to include other presidents like Abraham Lincoln and Thomas Jefferson. This is a federal holiday and also a state holiday in most locations around the US. As the name suggests, Presidents’ Day is a time for people to celebrate the achievements of the most popular presidents in the history of the US, namely Washington and Lincoln, but some states do add in other presidents like Jefferson. Americans celebrate this day with acts of patriotism, flying the Stars and Stripes flag, military homages, and more.